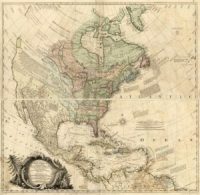 The Goschenhoppen Historians are pleased to announce the inaugural posting of its new blog.  This blog will begin with previously published articles from The Goschenhoppen Newsletter and The Goschenhoppen Region. 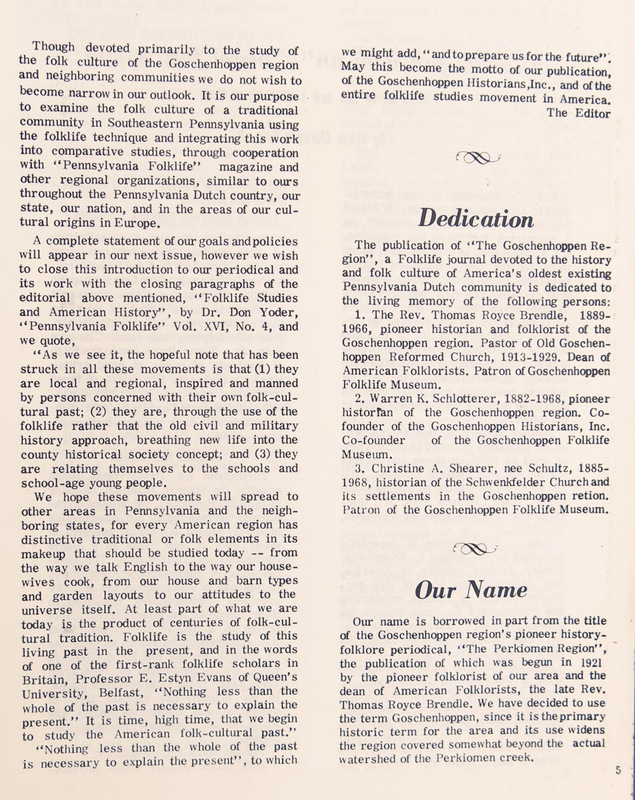 We hope readers will find the articles interesting and informative. Comments and inquiries from our readers are welcome. Please check periodically for new postings. 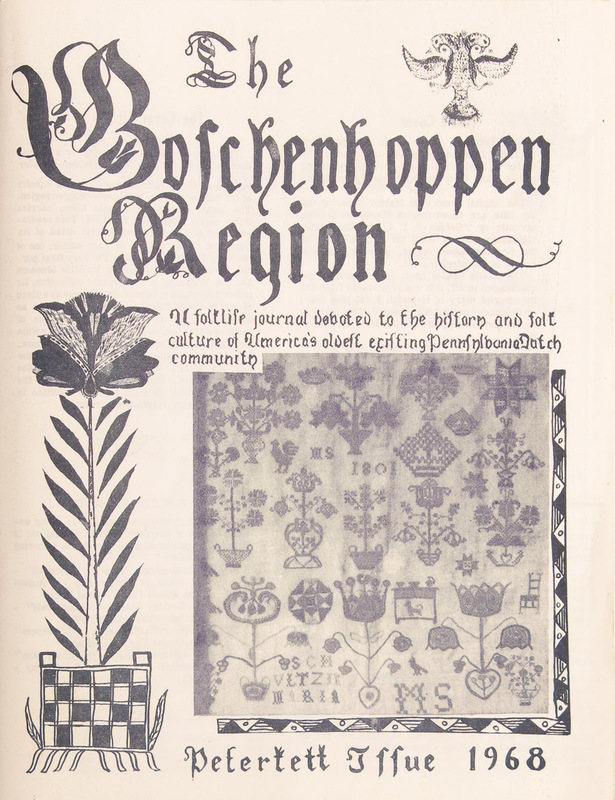 Below you will find the first few pages of The Goschenhoppen Region Vol. 1, No. 1. 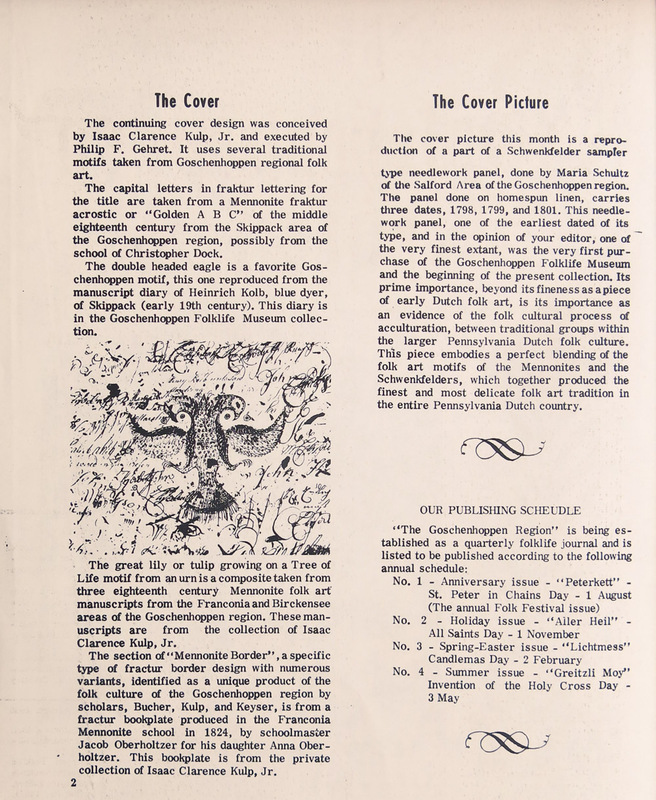 They serve as a wonderful introduction to our blog, the Goschenhoppen Historians, and the Pennsylvania Dutch. 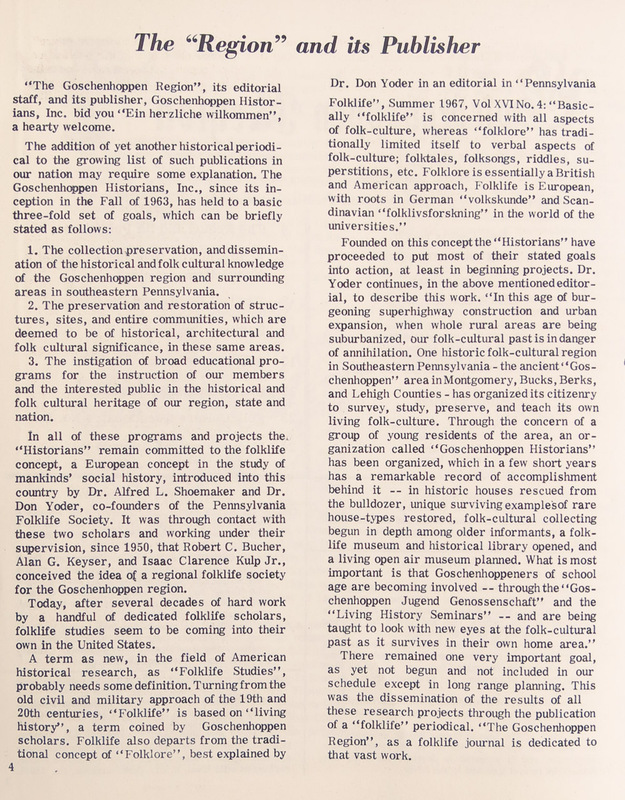 The Goschenhoppen Region, Page 2. 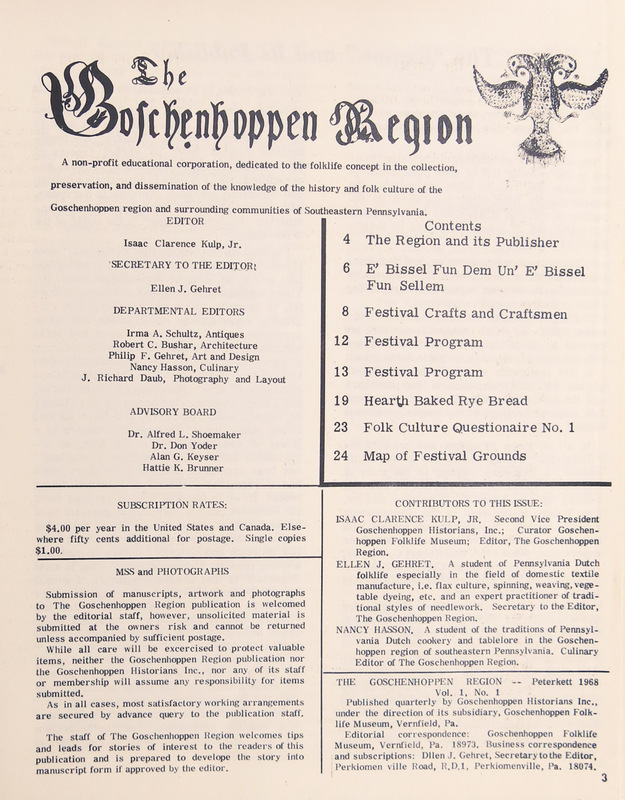 The Goschenhoppen Region Vol. 1, No. 1 page 5.